Great location. Apartment has everything you need. Easy check in, steps from the beach, very nice suites. Beds were clean and comfy, bathroom was large with a great shower. Had everything we needed for a short stay, and we were able to walk everywhere we wanted. Well equipped apartments, friendly stuff who speaks English and Russian. 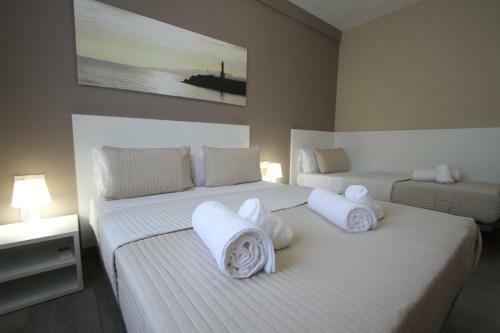 Hotel is located next to the beach and very close to Supermarkts and shop streets. Rooms are vey light and have got a lot of space. As we have been with our young daughter (2 years) we had been proposed a special bed and a high chair for her. Staff very friendly and pleasant. Lovely balcony in the apartment itself. Nice apartment. Great location. So close to the beach. Really awesome place actually. The best beach in the area is right in front of the property - clean, sandy, lifeguarded. They have a proper reception, which is always a plus. Very welcoming and helpful staff. Allowed us an early check-in w/o any problems. Laundry is provided onsite, though outside the room. I do recommend Cambrils in general and that part of the town where hotel is located in particular. Excellent location right next to a beautiful beach. Near the main shopping area. Good view of the ocean. Good facilities. Lots of nice towels. The children used the pool area a lot...particularly when it was very hot outside. Staff very pleasant. This place is amazing it is exactly as it looks in the pictures. The beach is literally a stones throw away and the staff are lovely. Everything is on your doorstep the beach, fish markets, shops and the local transport is really easy to use, the bus stops are outside the apartments. We had to put down a 300 Euro deposit on arrival and it was returned within 3 days of being back at home. Lock in a great price for Click & Booking Cambrils Playa Spa – rated 8.8 by recent guests! One of our top picks in Cambrils.Located 150 feet from the beach in Cambrils, some Click & Booking Cambrils Playa Spa apartments offer sea views. Free WiFi and a sun terrace are also available. 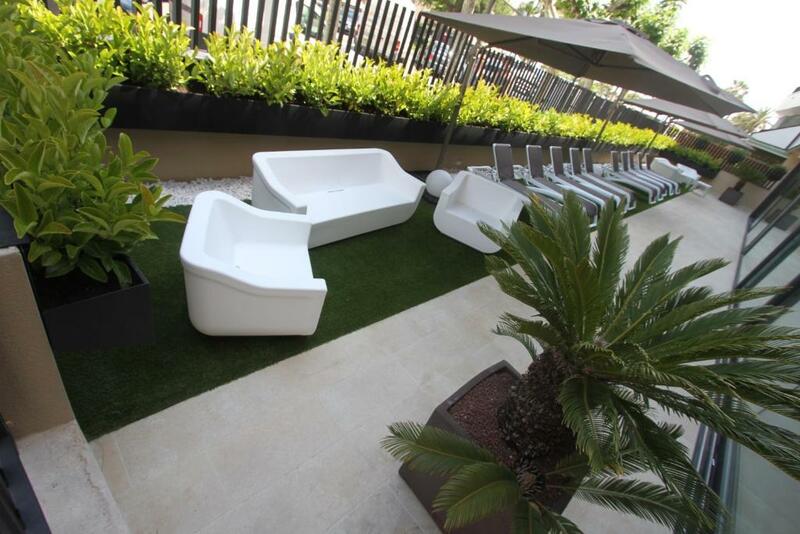 The apartments come with 1, 2 or 3 bedrooms, air conditioning and a private terrace. There is also a fully equipped kitchen and a seating area with a sofa bed and a flat-screen TV. The residency has a communal laundry free of charge. Click & Booking Cambrils Playa Spa also includes a small fitness center and a spa area with Turkish bath, spa bath and a swimming pool as well as a vast courtyard area. Guests have free access to these facilities in both summer and winter. Click & Booking Cambrils Playa Spa is 15-minute drive from Salou and Port Aventura. Tarragona is 16 mi away, while La Pineda is 5.6 mi from the property. The nearest airport is Reus Airport, 6.8 mi away. When would you like to stay at Click & Booking Cambrils Playa Spa? This apartment has a kitchenware, toaster and dishwasher. This apartment features a sofa, kitchenware and dishwasher. This apartment has a sea view, balcony and oven. This apartment features a electric kettle, sofa and microwave. This apartment is located on the first floor and has air conditioning, toaster and dining area. 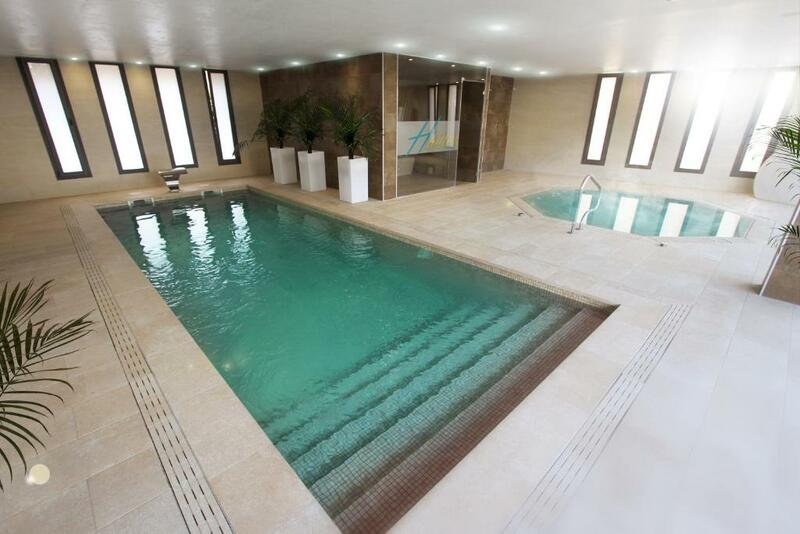 This apartment features a private pool, dishwasher and balcony. The apartment is located on the first floor. This apartment has a balcony, kitchenware and toaster. The apartment is located on the first floor. This apartment features a microwave, air conditioning and balcony. The apartment is located on the first floor. Cambrils Playa Spa apartments were reformed in 2016 and they are located next to the main beach of Cambrils. 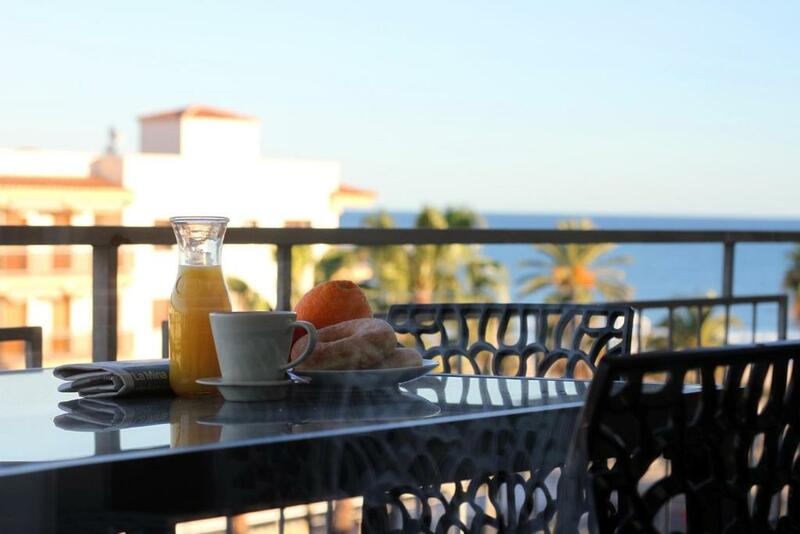 In these apartments you can spend a great holiday enjoying their modern decoration and privileged views of the sea. Bed linen and towels are included in the price. There is laundry service and free wi-fi in the building. 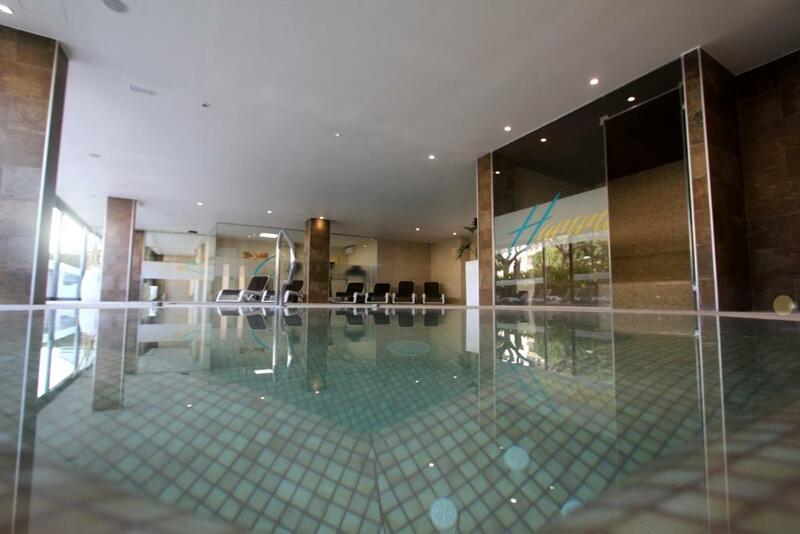 The building also offers a spa area with swimming pool, jacuzzi, hammam, gym and chill out area exclusively for our clients. The beach of El Regueral is at 1 minute walk. Click&Booking; tourist rental agency in the Costa Daurada with a long experience in the tourism business, making our costumers holidays a dream during all year. At the moment we have more than 200 properties completely reformed and prepared to all those customers who wish to find a holiday home in the Costa Daurada. Cambrils Playa Spa is located few meters from the main promenade and the port of Cambrils where you can find the best seafood restaurants and bars in the area. You can also find many shops, supermarkets and public transport that make easier the mobility in the area. House Rules Click & Booking Cambrils Playa Spa takes special requests – add in the next step! A EUR300 damage deposit is required 7 days before arrival (about USD337.31). This deposit will be fully refunded 7 days after check-out, as long as there isn't any damage to the property. Click &amp; Booking Cambrils Playa Spa accepts these cards and reserves the right to temporarily hold an amount prior to arrival. Click & Booking Cambrils Playa Spa accepts these cards and reserves the right to temporarily hold an amount prior to arrival. Please note that the Hammam is closed on 25 and 26 December, and 1 and 6 January. The pool and hot tub will be open. Guests are kindly requested to collect keys from 16:00 to 20:00. Please note that on 24 December, 31 December, and 5 January, check-in is only possible until 15:00. Please note that there is an extra charge of EUR 50 for check-in after 20:00. Late check-out is available after 11:00 for a surcharge of EUR 40. Please note that American Express is not accepted as a method of payment. Please note bed linen and towels are included. Please note that the year-round swimming pool is not heated. 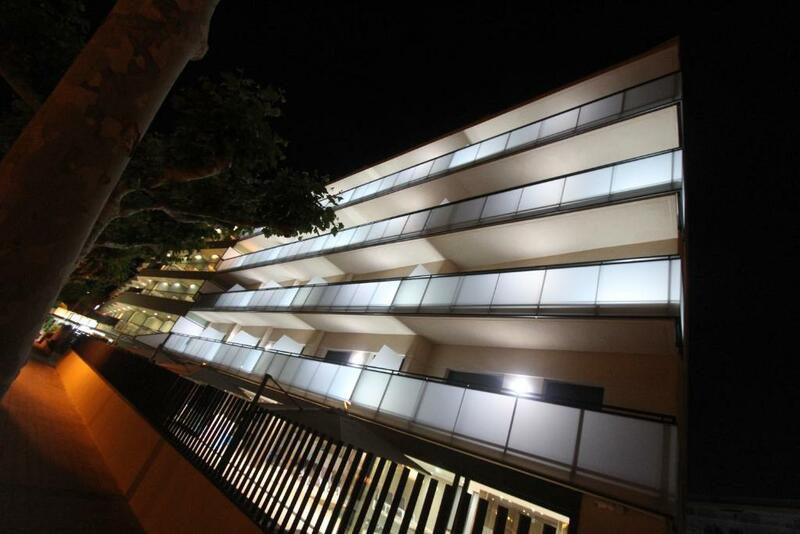 Please inform Click & Booking Cambrils Playa Spa of your expected arrival time in advance. You can use the Special Requests box when booking, or contact the property directly using the contact details in your confirmation. A damage deposit of EUR 300 is required. The host charges this 7 days before arrival. That's about 337.31USD. This will be collected by credit card. You should be reimbursed within 7 days of check-out. Your deposit will be refunded in full by credit card, subject to an inspection of the property. The A/C filters need to be cleaned. We used them for heat and you could clearly smell mildew. Also the exhaust fans in both bathrooms didn’t work and should be repaired. We stayed 19 nights at these apartments and the only reason we have given them a lower rating was because our air-conditioning was not working properly for 3 nights and despite numerous complaints we were not believed. We were forced to abandon the bed room for the 3 nights and sleep in the living area with the balcony doors open, resulting in numerous bites from mosquitoes. On night 4 despite being assured that air-con had been fixed we had to resort to ringing the emergency no. at midnight and only after much pleading an electrician eventually called and discovered a burnt out fuse. Despite suffering for 3 nights we were only credited with 1 night and a late check out. Please remember this company held €300 of our money as damage security (We are senior citizens) WE strongly feel that our valid complaint about the air-conditioning should have been believed earlier and we should have been credited with at least 3 nights for the stress and discomfort. No complaints! Loved our stay! There are pubs/cafes in the direct proximity and you could hear them at some nights. Double bed is a bit smaller, which is an issue when kid comes to sleep with you :) If you come for a longer stay be sure to get some dishwasher stuff, etc - they do have a "welcome pack", but that really is enough for few days only. We arrived by train - the distance is not too comfortable with kids and suitcases, though walkable. Went back to Barcelona by bus - stops by the corner from hotel and gets you directly to airport! No need to change trains, no walk, though a bit more expensive. The children's bedroom had no window. There was only one bathroom. There were no comfortable chairs for sitting out on the balcony. It was a big balcony but the furniture was wrong for the space. It is very clean and functional but the decor and atmosphere in the apartments is a little bit corporate. Lots of grey and white. There was a lot of internal noise, within the apartment (water pipes, noisy sliding door, shutter) and from other apartments. We did not sleep for a week! Excellent location. Good kitchen facilities. No room cleaning during our stay. Could do with more information regarding changing towels. Dirty cutlery and damaged knives, scissors and stained chopping board. Dirty / stained pillow cases and sheets. Tired & uncomfortable sofa bed. Didn’t like the glass tables inside the apartment when I’ve had to pay a £300 deposit. The customer service from the lady we checked in was very nice and thorough. I’d also like to thank Andrea for her excellent knowledge of the local area, amenities & shops. Andrea was so nice and patient with all of our queries and questions. Thank you! We enjoyed the hotel & spa areas a lot during our stay and would recommend the apartments and excellent staff/team. Spa should be restricted to adults or more than 14yo because babies with pants playing in jaccuzzi is not relaxing and not clean. Balls in the inside swimming pool should be forbidden. The beach is 1 min walk from the flat children should go playing ball there, not in the spa. The problem is not the perfect welcoming of the staff but customers..